Beautiful south facing backyard with patio and ground level deck. Newer metal roof, newer kitchen with quartz countertops, new H/W floors in 2009 and new paint, upstairs new in 1998. Professionally designed for family living, this home is perfect for a family who wants this great location in the heart of Dunbar close to nearby Lord Byng, Crofton House & St George's Schools. Also a great lot to renovate, build or for future developments. 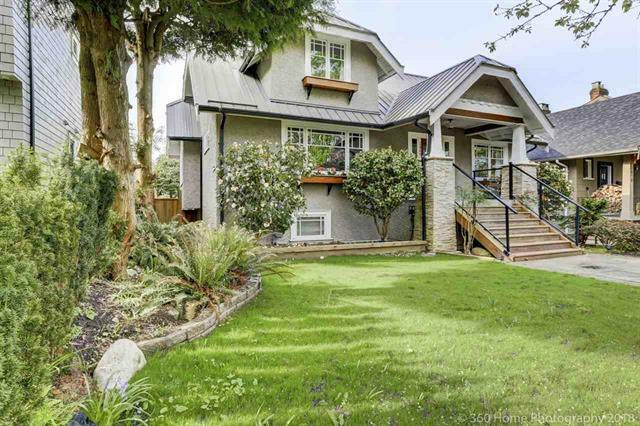 Just minutes to UBC by bike & close to Dunbar shopping area & transit routes.